This trio is a complete skincare solution for everyday skin challenges. Love this set. My skin is so much more bright and clear. I’ve been using this set for a few months and my skin loves it. It’s delivered pretty much the next day every time I order from them. If I order Friday evening, like I usually do, it’s shipped Saturday morning and arrives by noon on Monday. It smells great and makes my face really soft. And you get free travel sizes samples of the cleanser and moisturizer with each order. Two little packets of each. I highly recommend it. love this product. I have used Mary Kay products for years and finally got tired of trying to track down a supplier and decided to try this. It works beautifully on my skin. Leaves it soft and moisturized. Beware…a little goes a very long way. You will just need a pea sized amount to cover your face. I have only had this a few days, but I have lots I love about it (and some things I don’t love). – I love that the moisturizer bottle is so large that I don’t need to skip my neck because I feel there is so little there. One squirt is enough to do the entire face and neck!! – I love the extensive list of natural ingredients! – I love that it comes with face wash, toner, and moisturizer for the cost of some moisturizers alone. – I love how it is not greasy (even though I have oily skin). – Facewash is a bit watery and kinda smells like my grandma. 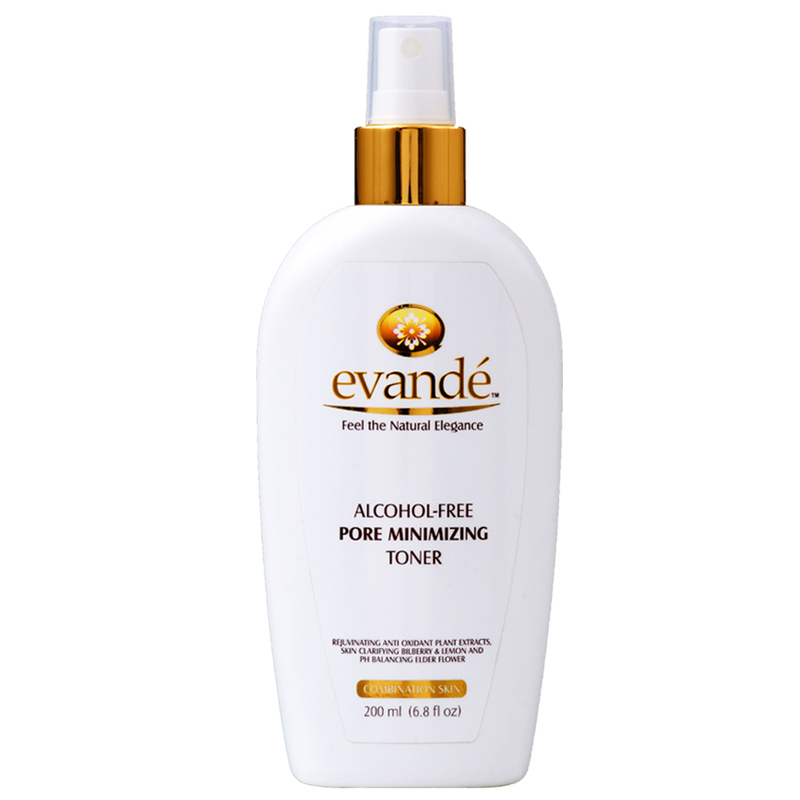 – Toner will not be used every time. It seems to dry out my skin if I use it twice a day. Like I mentioned, I have only used this a few days, but as I see other characteristics, I will update my review. At the moment, I give it two thumbs up!! My wife tried many brand name high end products over the years & spent lots of $$$. 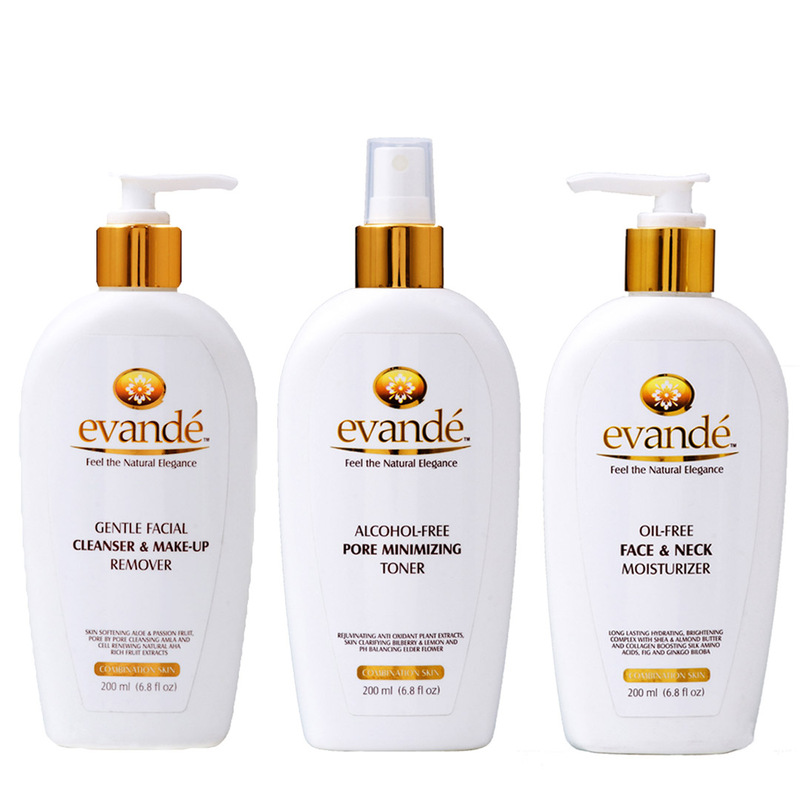 Evande’s products she tried thus far are truly amazing…we would strongly recommend to try it out. Was very excited to try this product because it looked luxurious just from the picture. Of course, had to receive the product and use it to see if the looks were going to be deceiving. I love that it comes in a really nice see through bag, which makes it great to give as a gift. There are three different products in the bag; cleanser and make-up remover, alcohol-free toner, and an oil-free moisturizer. Tried all three of the products in the order that you would apply them. Used the make-up remover to get rid of the little makeup I did have on my face. Used the toner afterwards to tone the skin, and then used the moisturizer to put on the finishing touch. The product smelled wonderful! I am not fond of heavy smelling facial products because I know how harsh fragrance can be on the skin. All three of the products smelled great and they all did exactly what they were supposed to do. Have been using the products faithfully and I am happy to report that my skin looks very healthy. I can see somewhat of a glow in my skin, which I love. Most days I do not wear make-up, so that product does not get that much usage, but it still worked great for those times that I was able to use it. So far, I am impressed with this set. Would definitely consider purchasing this brand again, especially because it is reasonable for what you actually get. Good value for the money! Buyers note: I did receive this item at a discounted rate in exchange for my honest and unbiased review. Please vote if this review was helpful in any way. Thanks in advance! First off let me tell you i am 35 and i have been starting to get the brown age spots on my face, i have been searching for something that helps me with that and the toner in this set does the trick. I have been using this for a bit and it is working out wonderful on my face. I can already see the age spots starting to diminish. 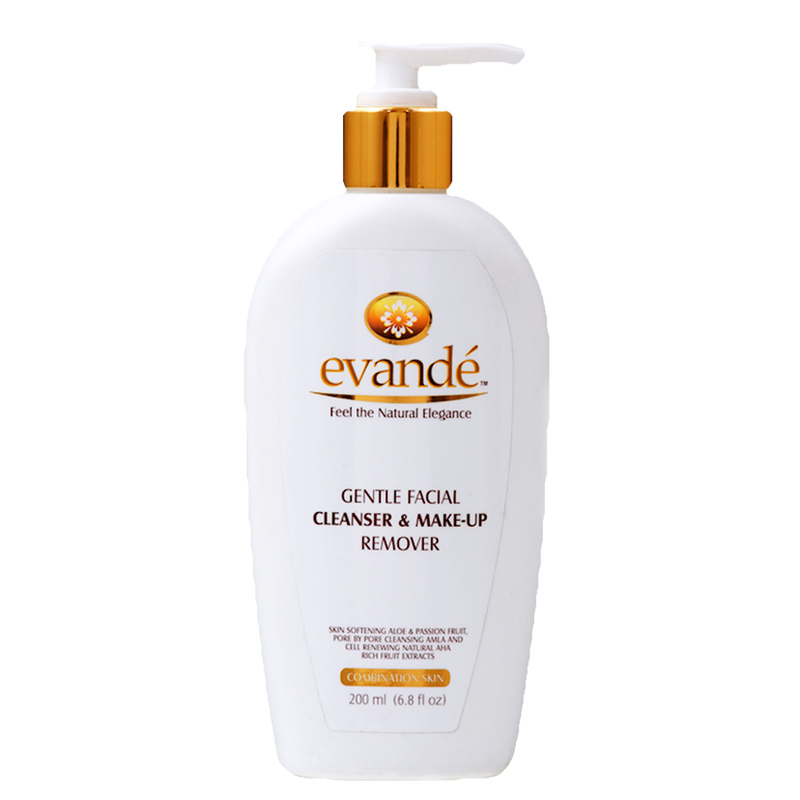 The cleanser is very gentle and wont leave our face dry feeling after, its so soft and smooth and takes off all my makeup with ease. The best is it doesnt take much to get a good cleanse, i use this morning and night. The facial moisturizer is perfect. Its so light that it doesnt take much and it leaves your face feeling very refreshed. It comes in a pump action bottle but it only takes half of a push to get enough for your face and neck area, but i use a full push down on the pump and put the rest on my hands because it doesnt leave a greasy feel on my skin like most body lotions do. Ive even used it on my elbows and knees and you can tell a big difference on the skin there where it is usually rough. I let my mother in law try it and she said she liked it better than the olay she was using. Definitely a product worth buying. 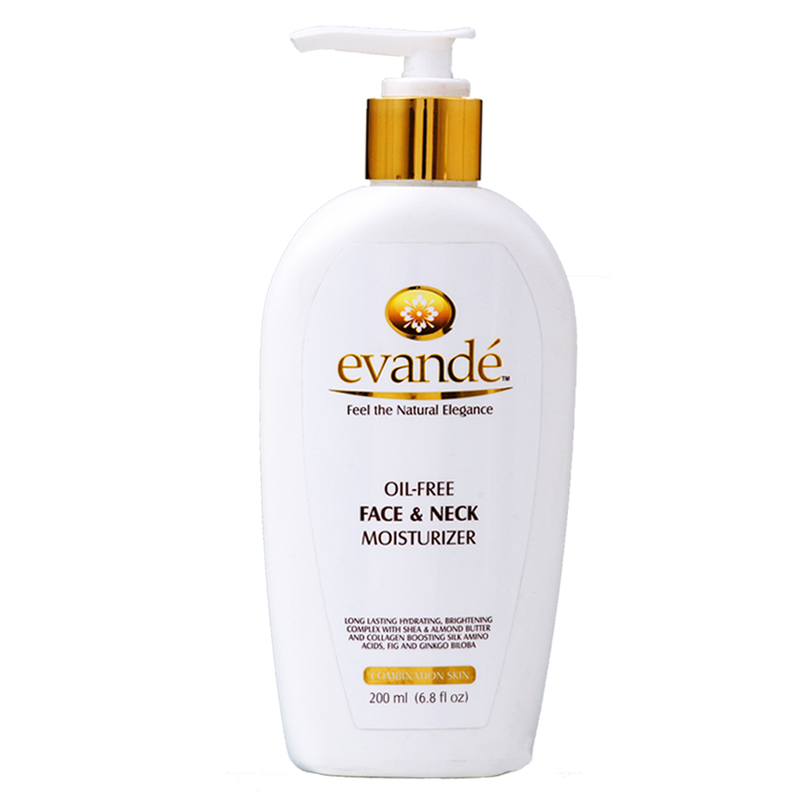 My skin is very sensitive and most products will dry out my skin or break it out, I have used this for several days and it has worked wonderfully my skin is clean, smooth and no reactions at all. I will update if it starts having any negative affects.